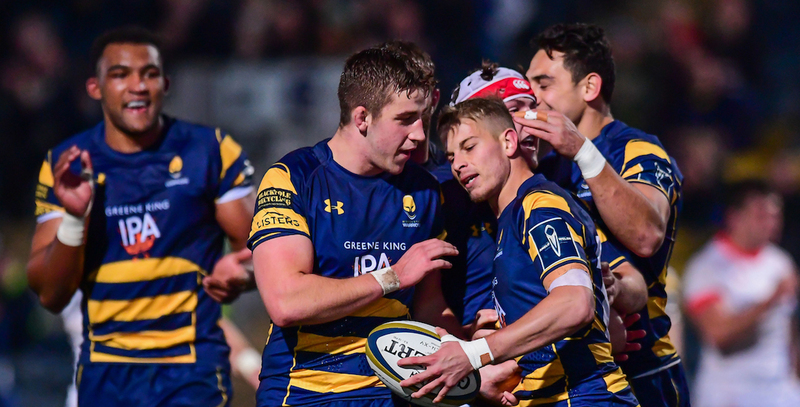 Tom Howe’s last-minute try handed a youthful Warriors side a losing bonus point at Sixways as Sale Sharks secured an opening night victory in the Anglo-Welsh Cup. TJ Ioane opened the scoring for Sale after seven minutes before Michael Dowsett went over for Warriors. Both sides looked to gain an advantage, but it was Sale who managed to take a grip of the game as Will Cliff and Ben Curry both crossed the whitewash in the first-half to give Sale a 21-7 lead at the break. Defences had the upper hand in the early stages of the second period but Warriors replacement Ollie Lawrence dived over four minutes after coming on for his debut to give his side hope. AJ MacGinty nudged the visitors ten points ahead with five minutes remaining before Howe went over at the death to at least give the hosts one point. 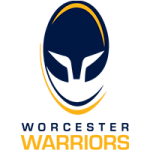 Warriors named a young side as England Under 20 centre Will Butler captained the side, while Academy youngsters Beck Cutting and Tom Dodd both made their first-team debuts, as did new signing Andrew Durutalo. Sale dominated the early exchanges as they camped on the Warriors tryline and went ahead when Ioane grounded following good work from the forward pack. Warriors started to find their way into the game as they looked to smash their way forward at every opportunity. And they soon went over for their first try of the night as Dowsett got on the end of Dean Hammond’s offload before racing over the tryline. Tom Heathcote converted as the hosts levelled the scores at seven points apiece. 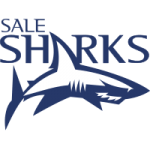 Sale looked as if they would be in for a second try midway through the first-half as the ball was fizzed across to Will Addison metres from the line. But the Sale captain knocked on with the tryline at his mercy. Warriors were looking dangerous every time they went forward, but the Sale defence was holding firm. And the visitors regained their lead as Curry stormed through before teeing up Cliff, who raced to the tryline. Sale continued to batter their way forward as the half wore to a close and added a third try on the stroke of half-time as Cliff returned the favour by providing the assist for Curry to go over. MacGinty converted as the sides turned around with Sale 21-7 ahead. The teams went toe-to-toe in the early stages of the second period as they played out a stalemate for the third quarter of the match. Warriors found good territory as they kicked penalties into touch, but they were finding it difficult to break down a stubborn away defence. Sale withstood a series of scrums in their own 22, but Warriors finally went over for their second try of the night when Lawrence picked up a loose ball and dived over for a debut try minutes after being introduced. But MacGinty put the nail in the coffin as his penalty with five minutes remaining put his side ten points to the good. Howe went over in the last play of the game to secure a losing bonus point before Olver added the extras on a cold night at Sixways. Backs Coach Sam Vesty, who was overseeing the side, will have been pleased with many aspects of Warriors’ performance as they continued to battle to the end. And there were plenty of positives to take from the match as Charlie Jeavons-Fellows, Nick Rigby and Ted Hill also came on for their maiden first-team appearance as Vesty handed debuts to a total of seven players throughout the evening.